When moving heavy machinery, you want a company you can trust, who have experience. With over 25 years experience in moving heavy machinery, Lift Technology are the ideal choice. The company's transport manager Fran Byrne elaborates on their enviable track record of meeting their customers' requirements. Lift Technology has been on the go for over 25 years providing quality service to the industrial community. They specialise in the removal and installation of heavy equipment for the print, pharmaceutical, electronic and engineering sectors. They also provide forklift transport through out Ireland and the UK. From their depot at Greenogue Business Park, Dublin 24 they operate a fleet of fork trucks, up to 27 ton in gas, electric and diesel trucks, for hire. On site service technicians service and maintain the trucks and they hold a stock of fully refurbished and reconditioned fork trucks for sale. Lift Technology operates a fleet of modern trucks coupled with a variety of trailers from extendable low loaders to curtain side sliding roof trailers with hydraulic ramps and they transport all types of machinery. 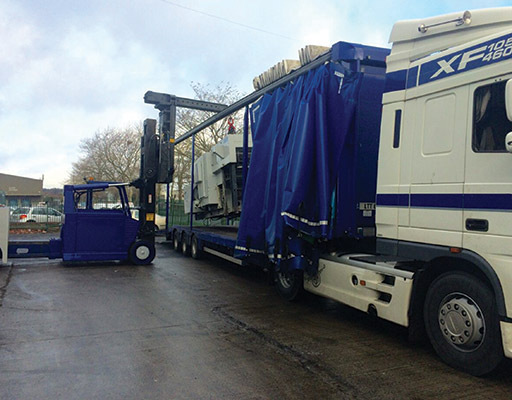 Whether you are a machine manufacturer, relocating or installing machinery, they can up lift transport and relocate your machinery to your requirements. Whatever the size or destination they have the equipment and expertise. They use a variety of equipment fork trucks, cranes, toe jacks and shifting skates, air ride skates, air ride trucks and trailers. In November of last year Lift Technology undertook with Dublin City Council to transport to and from the UK “the Dublin’s Lord Mayor’s Carriage”. Lift Tech’s expertise was required to load and transport this over 200 year old carriage to join hundreds of other coaches, carriages, carts and other vehicles in the 800th Lord Mayor Show in London. The Lord Mayor's Coach left Dublin city with Lift Technology for the first time in its history to take pride of place in Ireland's participation in the three mile procession through the heart of the City of London. The involvement of the Lord Mayor’s Coach in the procession was the highlight of the Ireland Week in London which was launched by An Taoiseach Enda Kenny at the Irish Embassy in London. Lift Tech introduced the 40/60 Versa-Lift fork truck to their fleet. This compact fork truck is capable of lifting 27 ton and comes with an attachable lifting jib capable of lifting to 8m. Attachable ballast weights make the truck ideal for working in confined spaces. “The Versa-Lift is a unique forklift in which the frame extends in order to achieve greater capacities and is equipped with a removable hydraulic boom. The Versa-Lift was designed specifically for moving heavy machinery smoothly and safely on solid surfaces for riggers,” explained the company's transport manager Fran Byrne. Lift Technology was set up by Reg Brogan, and today, his son Gary Brogan and son-in-law Fran Byrne oversee the running of the business. Very much a family affair, Gary's son, Sean, recently became the third generation of the Brogan family to work in the every-growing concern. Overall, Lift Technology has ten employees on its payroll. From their offices and workshop at Rathcoole, County Dublin, they stock a large range of reconditioned lift trucks from 1 – 20 ton for sale or lease. Trucks are fully reconditioned and re-painted to factory standard. The finished unit is a fork truck that looks new, comes with the same warranty and half the price. This is very cost effective in the current economic climate. From a service point of view, their service engineers can service your truck on site or they can arrange a replacement within hours if required. All of their drivers have all the necessary licenses and qualifications to carry out their work, including manual handling, safe passes, forklift licenses and rigger tickets. The long-established company holds public and employer’s liability and insurance at every level and always take health and safety seriously and will continue to invest time in this area. Fran and the team at Lift Technology offer a free on site quotation and will assist you to make your move as smooth as possible. 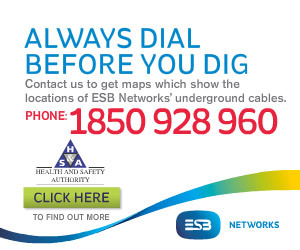 Give them a call to find out more.